I hope you’re enjoying this holiday week! I’ve been trying really hard to take some time off to relax and hang out with family before the business starts up again next week. We’ve got a lot happening in the first quarter. I’m booked out with speaking and client visits and we’ll be welcoming a new member of our team. I’ll introduce you to her real soon. Over the next few weeks you’ll also be hearing about our upcoming Profitable Perio Online Workshop. We’re working out the final details of each weekly webinar session and we’ll let you know when it’s ready. We’ll open registration first to members of our Hygiene Profits Mastermind group. We’ll be offering them a significant discount on the registration to this program so if you’ve ever thought of joining, now’s the time. Until next week…have a safe and happy New Year’s Eve! Resolutions, goals, whatever you want to call it, this is the time when most of us take inventory of our successes in the last year and plan for the next. Successful practices set aside time for annual planning, a time when the entire team gets together and plans their goals for the coming year. But there is one thing to do BEFORE setting your 2011 goals..sync your team. Schedule a “Sync Session”, a few hours set aside to get everyone on the same page. Without continuity between all team members and clear systems in place, it’s tough to reach your goals, especially in hygiene. If your practice has more than one hygienist, it is particularly important to spend time getting everyone in sync. There are 4 areas that need to be consistent between all your hygiene team members in order to grow this year. This week, I’ll share the first 2. And, I’ll give you a few questions to ask yourself and your team in your “Sync Session”. This could be the single most valuable thing you do for your practice this year. Setting aside time for doctors and hygienists to review treatment philosophy creates confidence among your hygienists and elevates their ability to enroll restorative treatment in hygiene. Setting aside time to review a few cases will pay off ten-fold in increased treatment scheduled from hygiene. If your hygiene team doesn’t know why you recommended a crown instead of an onlay, they are less likely to be enthusiastic about urging the patient to move forward with care. At what interval do we take a full mouth series of x-rays, a panorex? In what instance does the doctor(s) recommend a crown, onlay, filling? Do we all feel comfortable talking with patients about the treatment our doctor has planned? When do we refer patients to specialists? What type of homecare products do we recommend to our patients? Does everyone still agree with the protocols? Are our systems/protocols congruent with our practice mission? Is the protocol up-to-date and does it include the use of new technology and/or products we’ve recently added to our practice? Are we still working close to the protocols or has each hygienist developed his/her own version? How often do we perform and record a complete periodontal probing? What indicates that a patient is in need of periodontal therapy? Can your patients pay for their perio care? The holidays have officially begun at the Wall house. I know what you’re thinking…it’s almost mid-December, get with it Rachel. But I have to admit-with two little ones, work and travel I’m not always the best and keeping up with holiday parties, shopping and traditions. Hey, at least we have the Christmas tree up. One thing that is new this year is that I’m taking some serious time OFF!! This is a great time for me to take a break as there isn’t as much demand for in-office training or live speaking during the last couple weeks of December and early January. I’m going to take the time to bake holiday cookies, get together with family and friends and start some new Wall family holiday traditions. I’ve found that many of my colleagues do the same thing this time of year. One that I really admire is Lois Banta of Banta Consulting. Lois has had only a few weeks off this entire year and she agreed to carve out an hour next week to share her proven strategies for successful financial arrangementswith our Hygiene Profits Mastermind members. If you’ve ever wondered how to respond to patients when they say ‘I only want what my insurance pays for’ or if you’ve ever been concerned that your patients can’t afford the treatment they need to be healthy, then you must be on this call. Click here to see what we’ll cover on the tele-class. I have a sneaky feeling Lois is going to give our members one of her valuable financial arrangement tools to use right away. Don’t miss our December Mastermind Call on Thursday, December 17 at 1:00pm Eastern! 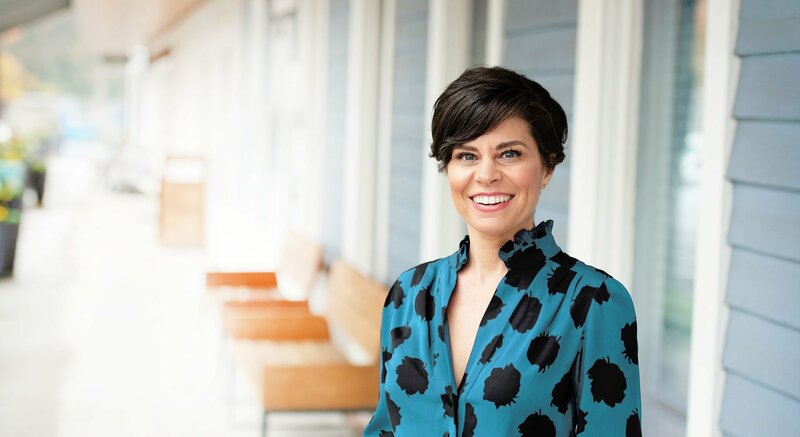 From terrified dental patient to popular international speaker and dental consultant, Lois Banta, CEO of Banta Consulting, Inc., has been involved in dentistry for more than 30 years. With extraordinary insight into the dynamics that make a practice successful, Lois delivers her message all over the world with enthusiasm and heartfelt conviction. So I am thrilled to have her as our guest expert for December’s Hygiene Profits Mastermind Special Topic Call. If you’ve been to any major dental meeting, you’ve probably seen Lois’ name on the lecture schedule. She has agreed to give us an hour to share her time-tested, real-world strategies for patient financing. Whether you’re a dentist, hygienist, office administrator, you CANNOT MISS this call. Lois is so fun to talk with, you’ll really enjoy her and learn a ton! If you’ve ever experienced the myriad of excuses when attempting financial arrangements for your patients, you know the frustrations! Dental offices have, for years, allowed our patients to control the negotiations regarding patient financing. It’s what we have done for over 50 years. All dental offices are unique and should have available to them flexible payment plans to assist your patients accept their needed dentistry. On this call, Lois will uncover the mysteries surrounding this complex issue as well as designing “fool proof” financial policies. This call is for The Hygiene Profits Mastermind members only. If you’re not a member, take advantage of our special two-month trial. Go to HygieneMastermind.com for all of the details! We’ve all felt it, the pounding heart, swirling stomach and trembling hands. For some of us, it takes a crowd of hundreds to bring on this reaction. For others, speaking at a team meeting will do it. I used to think that some people are born to be speakers. What I’ve discovered is that we all have it in us AND it takes practice. The funny thing is that in our profession, we are speakers EVERY day. We may not choose to speak at seminars and conferences but we talk to our patients, don’t we? They are our audience. When I attended the Buckley School of Public Speaking, my whole idea of public speaking changed.Here are a few tips I’d like to share that can help us all “speak” to our patients more comfortably and effectively. #1 Use common language– I won’t tell you exactly how Mr. Buckley put it but basically, bring your vocabulary to the level of the audience. It’s natural for us to say “I noticed on the bitewings there is caries on the mesial of #2. It’s pretty deep, It needs a core buildup and porcelain crown.” Or “there is suppuration in the furcation area on #31 lingual”. Now this doesn’t mean any more to our patient that if we were speaking pig latin. After we begin to bring patients into our world of dental speak, they may be able to translate. But for the most part, if we use dental terms to talk to them, it’s like being at a foreign film with no subtitles. You’d feel lost and you might get up and leave. Use common words and terms so patients can actively participate and so they don’t think we are trying to hide something. Instead say, “Mr. Jones, there’s pus between the roots of this last tooth on the lower right”. Now, that means something. #2 Be Yourself– Everyone has a unique personality. That’s what makes us special and interesting. Use this to your advantage. I work with another hygienist and the words we use to explain things to patients are almost exactly the same. BUT, the way we use those words is very different. We talk to patients using our own personality. We don’t want to sound like we are reading from a script. Scripts are great guidelines for what to say. And there are certain phrases that I NEVER leave out. I say it with my own little twist and so do you. #3 Be Passionate– Get connected to what you are saying, heart and soul. A great speaker must have a deep conviction that their audience needs and wants to hear what they have to say. When you step up to your audience, keep these things in mind. They’ll help you feel better and your patients will know it. I hope you enjoyed some down time during the Thanksgiving holiday. I have so much to be thankful for every day, not just on that certain Thursday in November. I have to thank you for following us over the years. I say ‘us’ because whether you know it or not, there are quite a few hands and hearts that go into what we do here at Inspired Hygiene. Our team has grown over the years and it’s about to grow again. The last half of 2010 has been especially busy for us and I’m almost booked out into the 2nd quarter of 2011! Today, I’m working with one of my favorite people, Allison Teel. Allison is our resident instrumentation, ultrasonics and laser specialist. We’re working with a client in Los Angeles to help them implement their newly honed laser therapy skills. I love being in-office with teams and to have my buddy along-side me is a huge bonus. 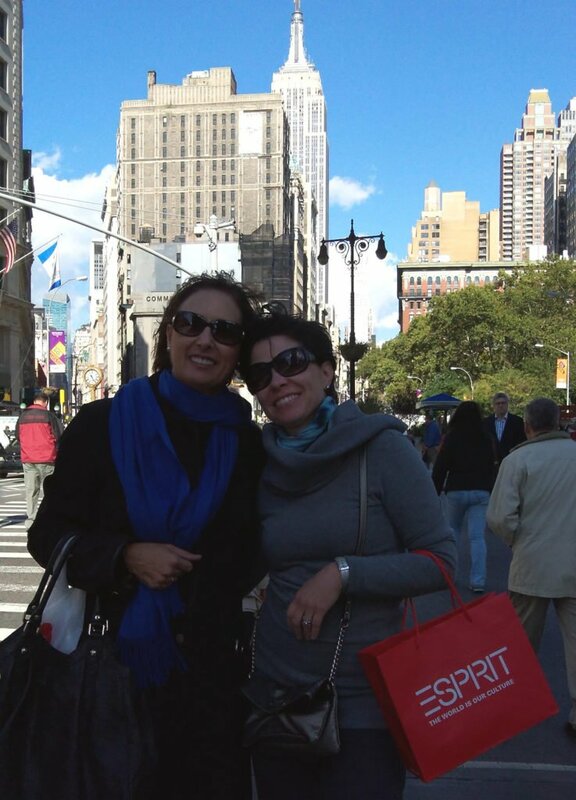 Here we are in NYC a few weeks ago after a continuing education course.